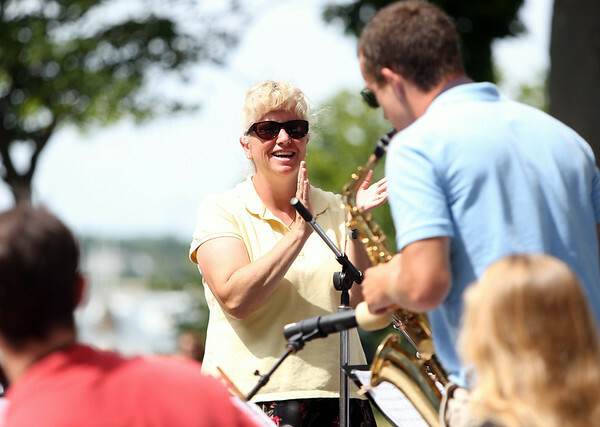 Salem High School Jazz Band Director Cynthia Napierkowski applauds a soloist during the Salem Jazz and Soul Festival at the Bandstand at Salem Willows on Saturday morning. DAVID LE/Staff photo. 8/16/14.